This is what some of them had to say about us. Very easy.....this is such a great time saver! The last visit our friends used the service and told us we had to use it. What a great and easy process. Love the website, super easy!!!! Super excited to work with you again this trip - just so convenient! We have been happily recommending your services to others visiting Cabo! Great selection of food and a super easy site to navigate to find what we need! Great service - what a HUGE time saver on our first day in town!!! We HIGHLY RECOMEND PRICKLY-PEAR! We've used this grocery ordering service for over 5 years now and LOVE the convenience and ease ordering with the online shopping basket! Upon arriving and getting settled into our condo, it's so nice to have our groceries delivered by you or your friendly staff. We appreciate them going over the list to ensure ALL items are accounted for or if there are small changes or discrepancies, they'll be sure to let us know if something was not available. Your service is invaluable to us as we like to be able to prepare most of our food ourselves, allowing us the freedom to know what exactly is in our food, therefore accommodating special diets and needs! Thank you for helping make our CABO yearly returns the BEST! I won't travel to Cabo and shop on my own ever, when I have this service available to me. It is so easy and everything is right at my finger tips. They deliver right to my door. I have always found everything I could ever want or need. I look forward to experiencing the simplicity you are offering! I have used Prickly Pear Cabo on several of our visits. I have even compared pricing and most items are priced the same as in the US. So much better than wasting precious vacation time shopping at a grocery store. They even put it away for you! Easy process! Love the website. Great website - made it easy to order! Prickly pear is so fantastic, its always the first step towards a great trip, groceries ordered, excitement builds!! Very easy and convenient way to order groceries for our vacation! Website was great! Looking forward to experiencing your outstanding service. great service and very user friendly. This is our third time with you guys. So you must be doing something right. It was easy to navigate the site. I like the search feature and the selection worked well for us! Very user friendly website. We looked at other Cabo grocery delivery services and yours was by far the easiest to navigate and responded very quickly to my inquiries. Highly recommend! This was a fantastic site. Really appreciate the ease of use. This was a very easy site to navigate and it has a great selection without it having so many items that it's overwhelming. Looking forward to not have to go grocery shopping upon arrival. Thank you see you in a week. We love Prickly Pear! The food comes to our door and is cold and ready to enjoy! We love how our list from prior years is accessible from years prior, so we can order really quickly in years to follow! It's so easy! Great website - easy to use. I love Prickly Pear! They do an awesome job and make our vacation so much more comfortable. Easy to use! A large assortment of items! We shopped there throughout our trip! I like the fact that I can review the previous years order and actually, reorder it for the current year! 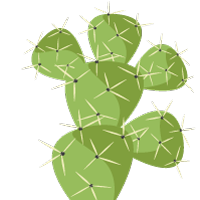 Prickly Pear Cabo has a great selection of products and the website is very easy to use. The staff is friendly, they deliver directly to your room and they are always on time. Love your service! We have been using Prickly Pear for several years. They have been very helpful. The orders are always delivered on time and as ordered. Have used Prickly Pear multiple times when traveling to Cabo on vacation. Have always had an excellent experience using Prickly Pear!! Your customer service is off the charts!!!! Hoping the products are equally as good!! We love using Prickly Pear for our grocery delivery! We have been using Prickly Pear Cabo for years and come back due to ease of use and timely deliveries. Very convenient for travelers. The variety of products offered are the brands we typically purchase when we visit Mexico. For the service you provide, the prices and delivery charge are very reasonable. We love that we will be able to begin our vacation as soon as we arrive and not have to travel from our resort to purchase our supplies. Thank you! I have used Prickly Pear on two separate occasions, I recommend them to everyone I know who is planning a visit to Cabo. It was great! Well organized and great selection! Your service is outstanding and I am thrilled that I don't have to waste a half a day shopping ð???ð???ð???ð??? We were very pleased with your customer service when using you for the first time in March/2018 and look forward to the same high standards of quality and service!!! I like the way that you organized the groceries that you offer and also the fact that the list of groceries was of a manageable size - just the right amount of groceries, not too much or too little. Comprehensive list of groceries and personal items. Very user friendly site. It was very easy to find items. Your navigation process was extremely user friendly. I looked at other sites but they were too much work to find what we wanted. Going to the most wonderful place in the world, Cabo, I don't want a hassle trying to order groceries. You are the best! Site is awesome!! Looking forward to the same awesome experience with the order and delivery. We are very excited to try Prickly Pear!! Great resource for those renting a house or condo in Cabo! Great selection and really easy to navigate and the prices arenâ? ?t bad for armchair resort shopping. Used now a few times and love it! We have used Prickly Pear Cabo grocery service many times and keep coming back because the prices are reasonable and the service excellent. Highly recommended! Shopping again with prickly pear for our family vacation at Grand Solmar (my husband and myself and 7 college-aged kids) - found every thing we need with ease, and know it will arrive fresh and timing as requested. Highly recommend using this company & website to others traveling to the baja area! This is the second time that we have used Prickly Pear while vacationing in Cabo. Great selection of items to choose from. The driver was right on time with our delivery - super friendly and helpful. I only wish there was a Prickly Pear everywhere that I go on vacation - it is such a great service, I won't ever go vacation in Cabo without using Prickly Pear. Love your website! I especially loved the fact that I could create an account and save a draft of my order. I was able to have fellow travelers log in and view my selections in case I missed anything. The search features and the ability to add items right from each "Isle" without clicking on them, getting ported to another screen, selecting a quantity and then having to navigate back. Lastly, I love the option to pay cash on delivery. Extremely easy to use. Very good selection of items. So much easier then getting off the plane and driving to the store upon arrival. Quick and easy to use for non-Spanish speaking Americans that own/vacation in Cabo! Always excellent selection, decent prices, reliable and quick delivery and the best part....I dont have to go shopping! The web site is getting better every year! Thank you for your prompt delivery! Thank you for such timely responses, very helpful! Super user friendly!!! Fairly priced items and delivery fee. We're looking forward to using this service in the future!!! Very easy to use and we were surprised at the diversity of products able to be purchased. SO excited that you are carrying the Retin-A products now and at such a great price! Thank you! I have used Prickly Pear since 2015, it is such a great start to your vacation! Every year they are prompt on their arrival - it makes the first day truly the start of your vacation instead of worrying about grocery shopping after check in. There's more and more to pick from and it's getting easier to use every time! This site was much easier and more user friendly then the last service we used. Super easy process and completely reasonable prices. Great to not have to go to the store on our own! Great delivery service! Very pleased with their service, have been using them for years. Beats taking a cab to Walmart! Have been using Prickly Pear for several years and always get great products and service. Really couldn't have been easier! Easy to Navigate through the website, easy to sign up, Easy to pick your groceries and confirm that is what you want. All in all a very easy choice for having groceries delivered when you arrive at your destination. Thanks, Prickly Pear. Excellent service - great company! I always use them when I come to Cabo! Always love doing business with you guys. Makes my trip so easy and pleasurable not to have to spend vacation food shopping. I have used this company in the past and they are fantastic! The website is very easy to use and if there is something you want that isn't on the list, they do their best to find it. They are on time and take extra care with your delivery. I highly recommend them for any food, drink or alcohol! Everything was ordered with ease; any items that were not available, we just added them to the comment section at check out. I would highly recommend this service so you can start your vacation as soon as you check in. Great and easy shopping experience. This is the company to use for your Cabo delivery, very pleased with the communication and professional service. My second time using Prickly Pear Cabo Delivery. Thanks again for the great service!!! The only way to go on vacation. Food is there when you get there. no running around looking for the groceries one less thing to worry about. LOVE your service!!! Would not shop myself again! I love that you can "refresh" your past orders! You guys are great!!! Thank you very much. Your website is very easy to use. Did a great job, sent confirmation of our order ahead of time (other places don't do this). Our order was a bit delayed so they gave us a few freebies to make up. We were able to text them a few last minute items and they accommodated us. Very pleased & would use them again! So nice to have food in our room when we arrived tired & hungry! Easy to navigate and well organized. Found everything we were looking for and more! The website is great. I have passed the information on to the 24 guests that are traveling with me to place various orders for our stay. GREAT RESOURCE and I am looking forward to your company helping complete my vacation experience!!!! What a fantastic service! Thank you! Looking forward to our trip. Thank you for providing this valuable service. Site was easy to navigate and had everything we needed! The new website is very easy to use. We made orders last year and now we will ALWAYS order to stock the condo! It is so much easier than taking a half of a day to go shopping ourselves. Prices are reasonable and delivery charge is less than Instacart back home. I love this service! Nice selection of products, website is very well organized! Yes, your website is much easier to use than other delivery services in Cabo - great job!!! Thank you for listing your website and the products in English! :-) Looking forward to enjoying Cabo and not having to spend time grocery shopping and paying for a taxi. Traveling from Missouri and entertaining friends... donâ? ?t want to go to store as we want to enjoy every minute of our Cabo time! P.P. has always exceeded our expectations and makes grocery shopping so easy! Very trustworthy! Super easy site to order from and look forward to my delivery next week! Everything was well laid out and easy to navigate. Looking forward to our first delivery so we can leave positive feedback. So far I really like the idea of not having to go to the store after I travel. It was so easy to shop on line. The layout for the website seems more user friendly than others. The process is very simple. I used this service last year and had my order within 3 to 4 hours. Ordering our groceries and liquor through Prickly Pear made planning for our trip to Cabo a breeze! The website was super easy to use and they have any and everything you could possibly need. We are looking forward to using them again in the future! Great website. Able to order quickly and easily and SO much nicer than having to rush to the store upon arrival. Looking forward to our delivery. I heard about this company and was very excited that I didnâ? ?t have to go shopping! Prices are very reasonable with great options! The best website ever!!! So easy to use. Love this! We love all inclusives but they donâ? ?t have a couple of brands we really like. This makes our vacation perfect! Very efficient and easy to use - great idea for vacationers !!! This site was so easy to use and I am so excited to use these services. I contacted the company a few weeks ago with a few questions and they responded right away. As long as we receive our groceries when we get to Cabo i will 100% use them again! Good selection of all items. Shopping aisle made the entire ordering process easy to use. I've used your service for the past 5 visits to Cabo. Having your delivery people bring it directly to the room especially with the beer being cold is a real advantage. I recommend you to everybody going to Cabo. Convenient way to start a family reunion having snacks and goodies waiting for you upon your late afternoon arrival! I found it very helpful that I could save my cart items and return at a later time to purchase. Your website was so easy to work through! The service you provide makes the start of our vacation a relaxing one....thank you!!! Thank you so much! We definitely did not want to waste time grocery shopping. I love this service. Wouldn't come to Cabo without your help! Have used Prickly Pear in the past and highly recommend the service. Wish they had a branch in our home town! great service and always use them! Thanks Michelle! ð??? I appreciate your effort to find products meeting special needs at reasonable prices. Thatâ? ?s why Iâ? ?m a repeat customer since 2014. Love love love your service and tell everyone about you! It's so great to NOT have to go grocery shopping, and be able to relax sooner! Never stop at Walmart again! This is a great service!! Nice selection of groceries, very easy to navigate. Smooth transaction - we are repeat Prickly Pear customers and we appreciate the excellent customer service!! We have been using Prickly Pear for years and will continue to do so. The service is amazing! I have used your company for many years and have been very pleased with the selection of food and on time delivery. What a great service! Super user friendly. Great service and very polite to work with. I highly recommend their services! Prickly Pear is awesome. 5th time using their service and they get it right every time! Thanks! We have used your service for years. All of the groceries always arrive in a timely manner. We really appreciate the great job you do. Your website is user friendly. The shopping categories helped to locate what we needed.We have used your delivery service three times in the past and will continue to do so. Very easy to use! Loved the way things were sorted and how on point the search feature was. Perfect way to start a vacation with groceries delivered. Service was excellent last time I used it. Website is great! Much better than the older site, where I had difficulty navigating. This one is very easy to use. We love Prickly Pear. Who wants to spend a whole day of their vacation shopping? Not me!! I'd rather be at the pool. Ease of use was amazing! I am so happy to be able to get to our condo and have the groceries delivered for the 2 weeks. If I run out of anything, I will be sure to call and have them bring more! Couldn't be happier! Excellent website. Very user friendly. Your service has worked well for us and makes the first days more relaxing. Thanks. Great idea. Can't wait for the delivery to our room. Thank you. Great to have this service available! It is nice to know that our groceries will be delivered to the resort and we don't need to schedule time to take a taxi and go shopping. I like your new web site. Very easy to use! Love the service and the new website!!! Love Prickly Pear Cabo - awesome service!! Love this service. We use Prickly Pear every year! Love this grocery delivery service!! We have used Prickly Pear for years and have always been very satisfied. Love the pre-stock service! Great service and quality products. We have used this service the last 4 years we have been to Cabo and have always had great service. Nice to not have to waste part of our vacation grocery shopping! You always work with us and all of our friends! Thank you! Your website is much better than it used to be. We love ordering from you and appreciate how you go out of your way to always find us whatever we need. Awesome to be able to go off last years order!!! We do not have great needs but appreciate the convenience of having a few things delivered. We have been using Prickly Pear and it's predecessor "Where in Cabos" for a number of years. Great service. Easy to use. Have used Prickly Pear for several years . Excellent service- Highly recommend to Cabo travelers. We looked at a few different services and you had the best website by far! So easy to use and when I had a question, someone responded to my email within minutes! I received a few referrals but this site was by far the easiest to navigate. Plus had everything I needed. Prickly Pear has always gone above and beyond for food delivery!!! Awesome to work with!!!!! Thank you Sylvia, easy to order from your website. This service is exceptional. It saves us so much time not having to go into Cabo San Lucas and navigating the crowded Walmart. Customer service is great, service is SUPER easy and convenient! One of the easiest websites I have ever used!!! I have been using you guys for a long time now. I almost opted to stop at the store on the way in as my friend is picking me up but Im simply too lazy and you guys are so convenient! Always recommend you on Trip advisor! See ya soon! You continue to provide the best kind of service to all of us that love Cabo and come back year after year! Thank you. Fantastic site! !...and had Costco brands which is big plus for our clan!! Love you & your service! Makes coming to Cabo a breeze upon arrival! The new website is wonderful! I love all the additional selections and the ease of use on the website. You make our vacation so much easier. I loved the fun of grocery shopping in Cabo however you have spoiled us and we really prefer the ability to start our vacation as soon as our feet hit the ground! Your selection is great, delivery has always been on time, and we appreciate the fact that you keep an eye on arrival times. Thank you Prickly Pear! This is a WONDERFUL service! Thank you!! So easy to use and great food options. Thank you for your efforts to please. The emails were very helpful. Last time we used your service it was excellent! Michelle, you answered all my questions quickly. Looking forward to our travel to Cabo. We've traveled here many times, but this is the first time we've used your great service. Has great reviews on Tripadvisor, looking forward to arriving and not having to run to the store. I received a very quick response to my email and found them to be very accommodating to my request. This is a wonderful service. We are so grateful they survived the hurricane last year and did so much to help the Cabo community recover. Thank you! Love the convenience of Prickly Pear and have always been pleased with the reliable service - deliveries have always been on time and complete -no hassles with shopping for groceries - what a great way to start your vacation!